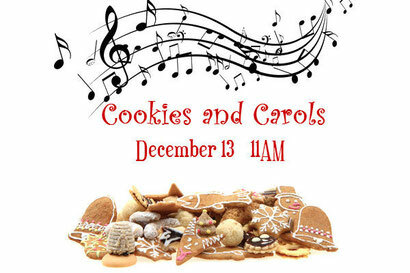 Please join us following worship on December 13th to enjoy songs and treats of the season. We'll sing some carols. The kids will visit with Santa Claus --don't forget your cameras!! We are looking for cookies, pies, or other favorite holiday dessert or snack to share. So we can plan, please let us us know you're coming, if you can help with set up or clean up, and if you think you'll bring a food item to share. Please sign up - or check on your sign up - at http://www.signupgenius.com/go/10c0b4ba9aa2e5-cookies .